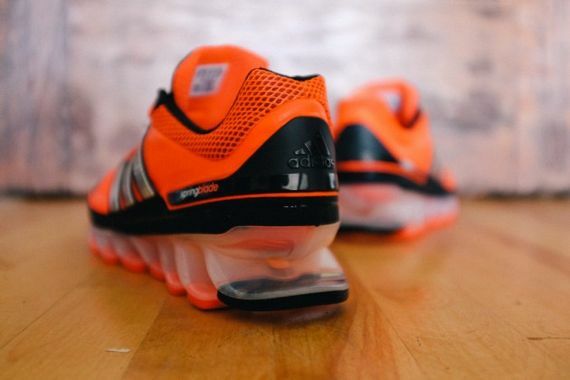 These intense kicks are a first, and adidas is quite aware of that. 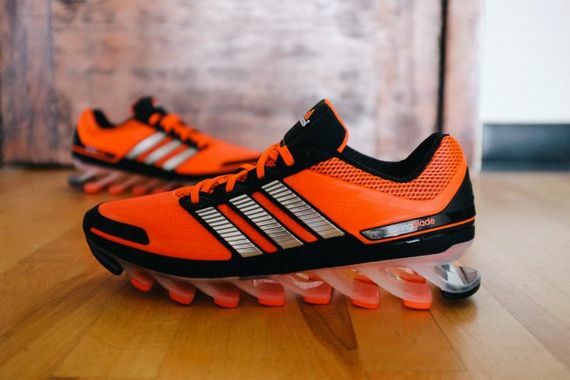 Dubbed “Springblade”, these may, from the top, appear to be a regular pair of three-stripe runners, but a quick glance at what lies beneath will have you either scratching your head or reaching for your credit card. 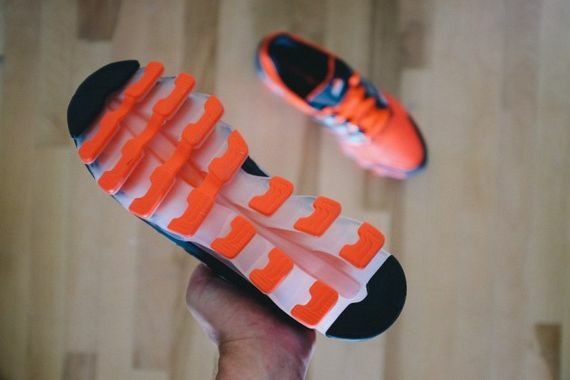 Using a 16 piece sole, this unique take on a sneaker sole sees adidas reinventing the wheel, but if this works properly they could be, though not for everyday use, be on to something. 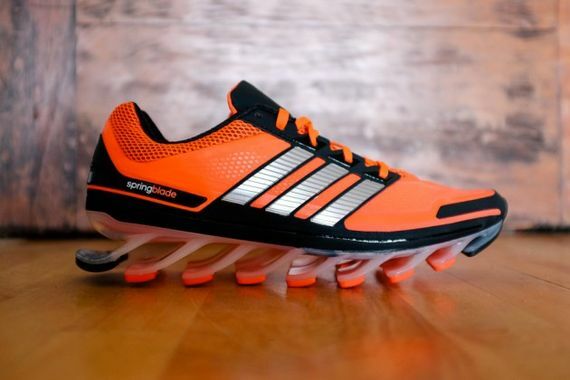 Designed to work with the foot and act as a spring, not matter what the environment or speed, the Springblades will be able to act accordingly. These don’t drop til August 1st, but I’m sure we’ll be able to score you some more info before then, so stay tuned via our Facebook, Twitter and Instagram for a head up on the latest on these revolutionary three-stripes. More photos after the jump.